This medication is used to treat high levels of prolactin hormone in your body. High levels of prolactin in women can cause symptoms such as unwanted breast milk and missed periods and can cause difficulty becoming pregnant. High levels of prolactin in men can cause symptoms such as enlarged breasts and decreased sexual ability/desire. Cabergoline is an ergot medication and works by blocking the release of prolactin from the pituitary gland. Take this medication by mouth with or without food, usually twice a week or as directed by your doctor. The dosage is based on your medical condition and response to treatment (prolactin levels). Your doctor will start you at a low dose and slowly increase your dose over several months to help decrease side effects. Follow your doctor's instructions carefully. Take this medication regularly to get the most benefit from it. To help you remember, mark the days on the calendar when you need to take the medication. What conditions does Cabergoline treat? Nausea, vomiting, stomach upset, constipation, dizziness, lightheadedness, or tiredness may occur. If any of these effects persist or worsen, tell your doctor or pharmacist promptly. Tell your doctor right away if any of these rare but seriousshortness of breath, persistent cough, swelling ankles/feet, unusual tiredness, mental/mood changes (such as nervousness), unusual strong urges (such as increased gambling, increased sexual urges), vision changes, painful menses, breast pain. Get medical help right away if you have any serious side effects, including: chest pain, signs of kidney problems (such as change in the amount of urine, lower back/flank pain). List Cabergoline side effects by likelihood and severity. Before taking cabergoline, tell your doctor or pharmacist if you are allergic to it; or to other ergot medications (such as ergotamine); or if you have any other allergies. This product may contain inactive ingredients, which can cause allergic reactions or other problems. Talk to your pharmacist for more details. Before using this medication, tell your doctor or pharmacist your medical history, especially of: liver disease, high blood pressure (hypertension), heart valve disease, abnormal scarring/thickening of the lining in the lungs/heart/behind the abdomen (pulmonary/pericardial/retroperitoneal fibrosis). It is unknown if this medication passes into breast milk. However, this medication may affect breast milk production. Therefore, breast-feeding while using this drug is not recommended. Consult your doctor before breast-feeding. What should I know regarding pregnancy, nursing and administering Cabergoline to children or the elderly? Some products that may interact with this drug include: antipsychotic medications (such as chlorpromazine, haloperidol, thiothixene), lorcaserin, metoclopramide, prochlorperazine. Other medications can affect the removal of cabergoline from your body, which may affect how cabergoline works. Examples include certain azole antifungals (such as itraconazole, ketoconazole, posaconazole), cobicistat, HIV protease inhibitors (such as ritonavir, saquinavir), among others. Does Cabergoline interact with other medications? Should I avoid certain foods while taking Cabergoline? If someone has overdosed and has serious symptoms such as passing out or trouble breathing, call 911. Otherwise, call a poison control center right away. US residents can call their local poison control center at 1-800-222-1222. Canada residents can call a provincial poison control center. 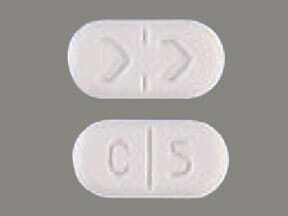 Symptoms of overdose may include severe dizziness, fainting, mental/mood changes (such as hallucinations). Laboratory and/or medical tests (such as prolactin levels, EKG) should be performed before starting and while you are taking this medication to monitor your progress or check for side effects. Consult your doctor for more details. 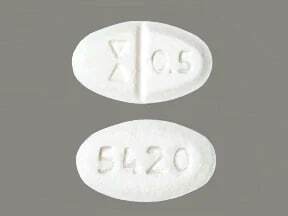 This medicine is a white, oval, scored, tablet imprinted with "logo and 0.5" and "5420". 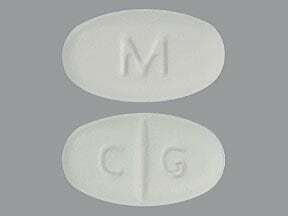 This medicine is a white, oval, scored, tablet imprinted with "M" and "C G". This medicine is a white, oblong, scored, tablet imprinted with "C 5" and "logo logo". 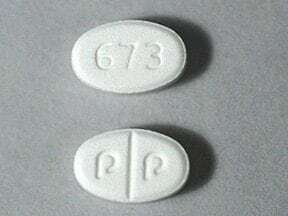 This medicine is a white, oval, scored, tablet imprinted with "P P" and "673". 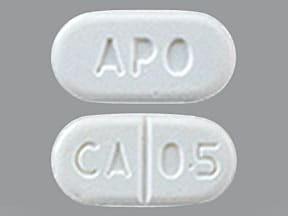 This medicine is a white, oblong, scored, tablet imprinted with "APO" and "CA 0.5". 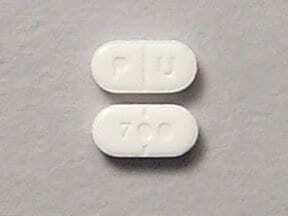 This medicine is a white, oblong, scored, tablet imprinted with "P U" and "700". Are you considering switching to Cabergoline? How long have you been taking Cabergoline?